From GdF Suez Netherlands BV (ENGIE), DAC Technologies recently supplied a large number of Chemical injection panels. 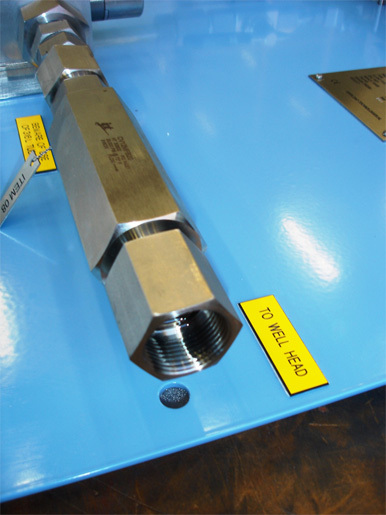 A number of panels are supplied with medium pressure compression fittings and extreme wall thickness tubing for pressures upto 960 bar. Panels are tested with a factor 1.5 resulted into a test pressure of 1440 bar. The panels will be installed on GdF Suez platforms L5, Q13, D18 and G17 platforms located in the North Sea in Dutch territorial waters.